Paul Markese focuses his practice in the areas of toxic tort and environmental litigation, with considerable experience in the areas of asbestos, silica and occupational disease claims. He defends various industrial product and equipment manufacturers, contractors and premises owners in toxic tort personal injury claims. Mr. Markese also has experience with mass tort and multi-district litigation (MDL). His clients include several Fortune 500 companies. 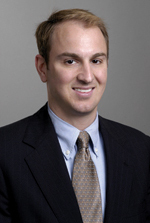 Mr. Markese is an active member of the firm's Defense Litigation practice group and the Toxic Tort specialty group. Mr. Markese joined Hinshaw & Culbertson LLP in June 1997. He has served as an instructor in Hinshaw University, the firm’s nationwide attorney training and education program. "Construction Defect Litigation and Mold-The Contractor's Perspective," 2002 Annual Meeting of the International Association of Defense Counsel (IADC). “Nolan v. Weil-McLain: Was it Worth the Wait? Yes, if You Have a Sole Proximate Cause Defense,” co-author, 8 DRI The Voice 14, April 22, 2009. The Asbestos Compensation Fairness Act," DRI For the Defense, June, 2003. "Courts Reshape Conspiracy Litigation in Illinois," 1 Toxic Exposure Litigation, Issue 1, 2000. "The Welding Industry is Holding its Breath for the Next Potential Wave of Toxic Tort Litigation: Welding Fumes," 1 Toxic Exposure Litigation, Issue 1, 2002.